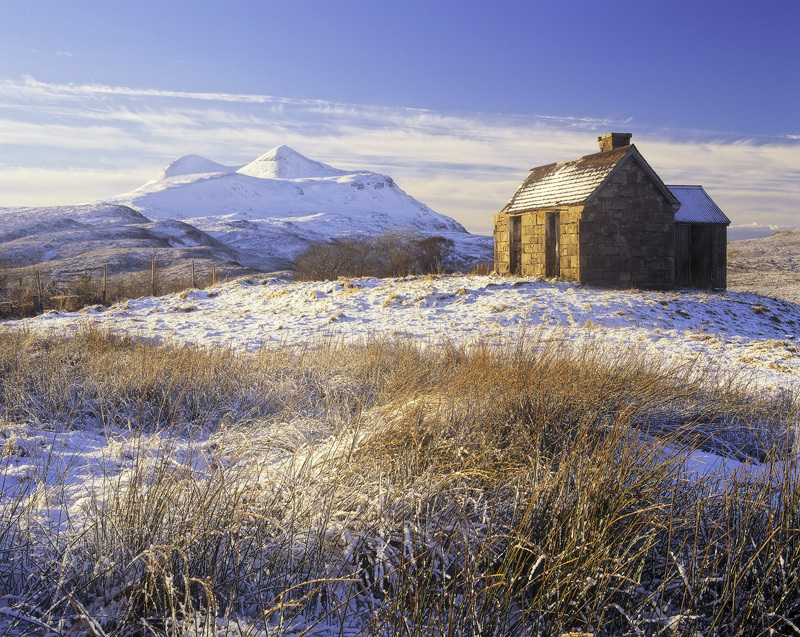 An idyllic winter day with a light dusting of snow shaken over an abandoned house with perhaps the ultimate in idyllic Scottish views. Cul Mor with its winter gown blue on the shadow side and brilliant white in direct sunlight. The warmth of late afternoon light enhances the ochre walls of both hut and sedge grasses peeking through the snowy coat.